The HEPHAISTOS yearbooks have become the world´s most comprehensive and unparalleled library of contemporary metal design since the first issue in 1999. This is the 14th volume! 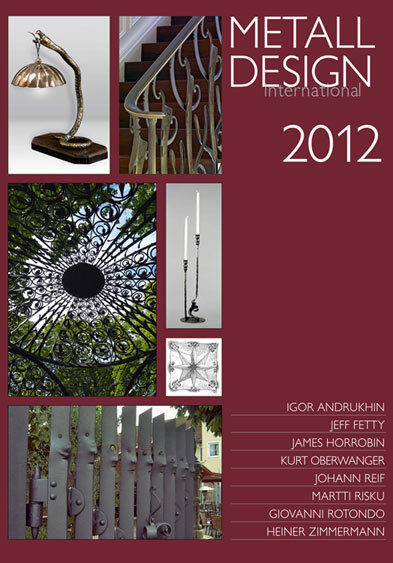 With accustomed high quality and carefully selected photos "Metall Design International 2012" shows the work of eight metal designers from five countries. These include Johann Reif (GER), Giovanni Rotondo (IT); James Horrobin (GBR); Martti Risku (SE); Jeff Fetty (USA); Kurt Oberwanger (AT); Heiner Zimmermann (GER); Igor Andrukhin (RU).